The Board has established an Audit Committee, Remuneration Committee and an AIM Compliance Committee with formally delegated duties and responsibilities. As an AIM-listed Company, Norman Broadbent intends to adopt as far as possible the principles of the Quoted Companies Alliance Corporate Governance Code (the “QCA Code”). The QCA Code identifies ten principles to be followed in order for companies to deliver growth in long term shareholder value, encompassing and efficient, effective and dynamic management framework accompanied by good communication to promote confidence and trust. The section below set out the ways in which the Group applies the ten principles of the QCA Code in support of the Group’s medium to long-term success. The strategy and business operations of the Group are set out in the Strategic Report on pages 2 to 8 of the Group’s 2017 Annual Report. The Group’s strategy and business model, are developed by the Chief Executive Officer and his senior management team, and approved by the Board. The management team, led by the Chief Executive Officer, is responsible for implementing the strategy and managing the business at an operational level. The Group’s overall strategic objective is to further develop and strengthen its complimentary portfolio of Talent Acquisition and Advisory Services via further selective hires and concentrating on driving synergies via cross selling. In executing the Group’s strategy and operational plans, management will typically confront a range of day-to-day challenges associated with these key risks and uncertainties, and will seek to deploy the identified mitigation steps to manage these risks as they manifest themselves. The Group seeks to maintain a regular dialogue with both existing and potential new shareholders in order to communicate the Group’s strategy and progress and to understand the needs and expectations of shareholders. The Chief Executive and the Chief Financial Officer offer to meet with all significant shareholders after the release of the half year and full year results, and encourage all shareholders to attend and ask questions of the Board as a whole at the Annual General Meeting. The Company encourages all shareholders to attend its Annual General Meeting where they can meet and question the Directors and express ideas or concerns. In addition, shareholder communication is answered, where possible or appropriate, by Directors or the Company’s broker, WH Ireland. The Board recognises that the Company’s continued growth and long-term success is largely reliant on its relations with its stakeholders, both internal (employees and shareholders) and external (customers, suppliers, agents, business partners and advisors etc). As a professional service-based business, our employees are a key factor in delivering successful growth and as such the Company fosters an open and friendly dialogue throughout its workforce. The Company endeavours to keep its workforce informed on the Company’s progress and holds regular meetings both formal and informal via social events. The Company works closely with its advisors to ensure it operates in conformity of its listing regulations as well as the social, legal, and cultural requirements where it operates. The Company’s customers and prospective customers are of course crucial to the growth and long-term success of the Company and as such the Company is a ‘sales-led’ business with a high priority given to customer service and interaction. The Group takes due account of any impact that its activities may have on the environment and seeks to minimise this impact wherever possible. Through the various procedures and systems it operates, the Group ensures full compliance with health and safety and environmental legislation relevant to its activities. A summary of the principal risks and uncertainties facing the Group, as well as mitigating actions, are set out on page 7 of the Group’s 2017 Annual Report. A comprehensive budgeting process is completed once a year and is reviewed and approved by the Board. The Group’s results, compared with the budget, are reported to the Board on a monthly basis. The Group maintains appropriate insurance cover in respect of actions taken against the Directors because of their roles, as well as against material loss or claims against the Group. The insured values and type of cover are comprehensively reviewed on a periodic basis. The senior management team meet at least twice monthly to consider new risks and opportunities presented to the Group, making recommendations to the Board and/or Audit Committee as appropriate. 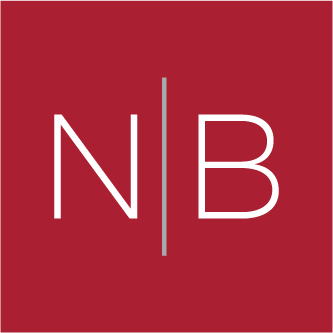 Norman Broadbent’s Board currently comprises 3 Non-executive Directors and 2 Executive Directors. The Board is responsible to the shareholders for the proper management of the Group and meets at least 10 times a year to set the overall direction and strategy of the Group, to review operational and financial performance and to advise on management appointments. All key operational and investment decisions are subject to Board approval. The Board considers itself to be sufficiently independent. The QCA Code suggests that a board should have at least two independent Non-executive Directors. All of the Non-executive Directors who currently sit on the Board of the Company are regarded as independent under the QCA Code’s guidance for determining such independence. Non-executive Directors receive their fees in the form of a basic cash fee. The Board regularly reviews the composition of the Board to ensure that it has the necessary breadth and depth of skills to support the ongoing development of the Group. The Chairman, in conjunction with the Company Secretary, ensures that the Directors’ knowledge is kept up to date on key issues and developments pertaining to the Group, its operational environment and to the Directors’ responsibilities as members of the Board. During the course of the year, Directors received updates from the Company Secretary and various external advisers on a number of corporate governance matters. Directors’ service contracts or appointment letters make provision for a Director to seek personal advice in furtherance of his or her duties and responsibilities. The Board has a process for evaluation of its own performance, that of its committees and individual Directors, including the Chairman. This process is conducted annually. Evaluation criteria include Controls and Procedures, Strategic Aims, Entrepreneurial Leadership and Communications and Relationships. The Board seeks to maintain the highest standards of integrity and probity in the conduct of the Group’s operations. These values are enshrined in the written policies and working practices adopted by all employees in the Group. An open culture is encouraged within the Group, with regular communications to staff regarding progress and staff feedback regularly sought. The Group is committed to providing a safe environment for its staff and all other parties for which the Group has a legal or moral responsibility in this area. The Group’s health and safety policies and procedures are included in the Group’s documented manuals. There is a clear separation of the roles of Chief Executive Officer and Non-executive Chairman. The Chairman is responsible for leadership of the board and ensuring its effectiveness on all aspects of its role. The Chairman with the assistance of the Chief Executive Officer sets the Board’s agenda and ensures that adequate time is available for discussion of all agenda items, in particular strategic issues. The Chairman promotes a culture of openness and debate by facilitating the effective contribution of Non-Executive Directors in particular and ensuring constructive relations between Executive and Non-Executive Directors. The Chief Executive Officer (CEO) is responsible for running the business and implementing the decisions and policies of the Board. The CEO is also responsible for ensuring the Company’s communication with shareholders is timely, informative and accurate with due regard to commercial sensitivity and regulatory requirements. The Chief Financial Officer (CFO) is responsible for the Company’s finances and is also responsible for the operations and technical requirements of the Company. The role of Company Secretary is undertaken separately to that of the CFO. The Non-Executive Directors are appointed not only to provide independent oversight and constructive challenge to the Executive Directors but also chosen to provide strategic advice and guidance. All directors are able to allocate sufficient time to the Company to discharge their duties. There is a formal, rigorous and transparent procedure for the appointment of new directors to the PLC Board. The search for PLC Board candidates is conducted, and appointments made, on merit, against objective criteria and with due regard for the benefits of diversity on the Board. The Board is responsible for ensuring that a sound system of internal control exists to safeguard shareholders’ interests and the Company’s assets. It is responsible for the regular review of the effectiveness of the systems of internal control. Internal controls are designed to manage rather than eliminate risk and therefore even the most effective system cannot provide assurance that each and every risk, present and future, has been addressed. The Board has established an Audit Committee, Remuneration Committee, and AIM Compliance Committee with formally delegated duties and responsibilities. The Chairman chairs all the formal Committee meetings. The Audit Committee normally meets at least twice a year and has responsibility for, amongst other things, reviewing the annual report and accounts and interim statements involving, where appropriate, the external auditors. The Committee also approves external auditors’ fees and ensures the auditors’ independence as well as focusing on compliance with legal requirements and accounting standards. It is also responsible for ensuring that an effective system of internal control is maintained. The ultimate responsibility for reviewing and approving the annual financial statements and interim statements remains with the Board. The Remuneration Committee, which meets as required, but at least once a year, has responsibility for making recommendations to the Board on the compensation of senior executives and determining, within agreed terms of reference, the specific remuneration packages for each of the Executive Directors. It also supervises the Company’s share incentive schemes and sets performance conditions for share options granted under the schemes. The Directors’ Remuneration Report is set out on pages 13 to 15 of the Annual Report. The Directors believe that the above disclosures constitute sufficient disclosure to meet the QCA Code’s requirement for a Remuneration Committee Report. Consequently, a separate Remuneration Committee Report is not presented in the Group’s Annual Report. The AIM Compliance Committee, which meets as required, but at least once a year, has responsibility for reviewing the size and composition of the Board, the appointment of replacement or additional Directors, the monitoring of compliance with applicable laws, regulations and corporate governance guidance and making appropriate recommendations to the Board. The Board is committed to maintaining good communication and having constructive dialogue with all of its stakeholders, including shareholders, providing them with access to information to enable them to come to informed decisions about the Company. The Investor Relations section of the Company’s website provides all required regulatory information as well as additional information shareholders may find helpful including: Share Services, information on Board Members, Advisors and Significant Shareholdings, a historical list of the Company’s Announcements, Corporate Governance information, the Company’s publications including historic Annual Reports and Notices of Annual General Meetings, together with Share Price information and interactive Charting facilities to assist shareholders analyse performance. Results of shareholder meetings and details of votes cast will be publicly announced through the regulatory system and displayed on the Company’s website with suitable explanations of any actions undertaken as a result of any significant votes against resolutions. Information on the work of the various Board Committees and other relevant information are included in the Company’s Annual Report and can be found here.